MOTORCYCLE INSURANCE MISCONCEPTION PART 7 -THE INSURANCE FOR THE CAR THAT HIT ME WILL PAY MY BILLS! Another common misconception I hear is that if the biker is not at fault for the collision, the insurance for the car that is responsible will pay their damages. This is only partially true. Car insurance, not motorcycle insurance, has two general categories; liability coverage and coverage that protects the operator and his or her passengers known as “no fault” insurance. As stated in a previous post, if you are injured in a motorcycle collision, even if it wasn’t your fault, there is no “no fault” insurance for the motorcycle occupants. Under New York’s rules, you are NOT eligible for the car’s no-fault coverage because you were not a passenger in the vehicle. Your damages can be covered by the liability portion of the car’s insurance policy, but the problem is when those damages are paid. The insurance company for the car responsible for your injuries can’t be MADE to pay anything until a jury orders them to pay. And that may be YEARS after you were injured. They won’t pay your lost wages as they are incurred. You can’t submit your medical bills and have them paid as you receive treatment. Under the liability portion of a policy, insurance companies make only one payment in full and final settlement of your case. Depending on the complexity of your case and the nature of your injuries, that could take years. For a limited time, I am offering a FREE INSURANCE REVIEW! Send me a copy of your motorcycle insurance declaration page by fax or e-mail, and I will explain to you what your policy covers and what it doesn’t, and also recommend coverage amounts you should consider to make sure you are protected in the event of a motorcycle collision. 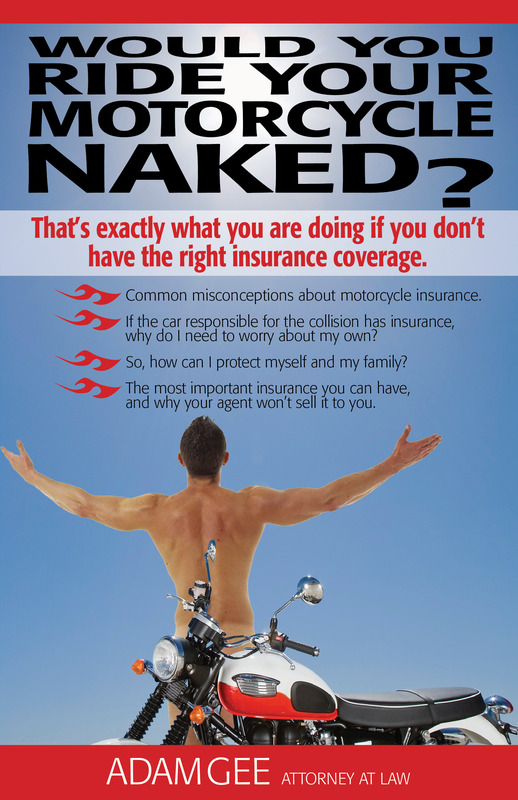 This post is the seventh in a eight-part series based on my book, “Would You Ride Your Motorcycle Naked?” My book is available FREE to New York and Pennsylvania bikers, and to those whose loved ones are bikers. Click the link above to get your free copy now, before it is too late! 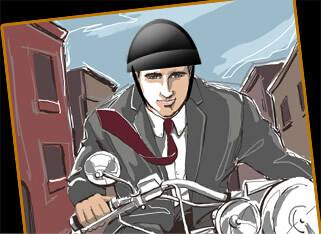 ← Motorcycle Insurance Misconceptions Part 6 – MY MOTORCYCLE INSURANCE WILL PAY MY BILLS!